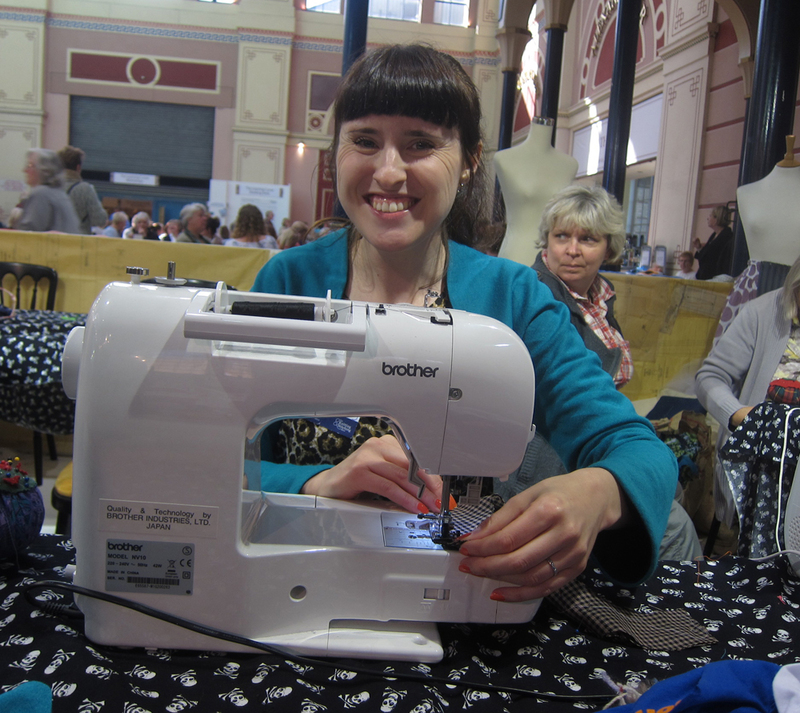 Since I live quite literally FIVE MINUTES from Alexandra Palace, and had never before been to the Knitting and Stitching Show up there, I felt it would have been quite, quite rude not to make an appearance this weekend. I’ve passed by before when it’s on and marvelled at the coachloads of silver-haired, sharp-elbowed grannies coming in from all over the country, yet always thought it might not be my cup of tea exactly. But this year I was absolutely determined to check it out, and I have to say, I’m glad I did! Not only was it a gorgeous day for a walk to to the Palace (see Karen’s lovely scenic pics), my in-laws were down from Norwich for the weekend, so it seemed the perfect opportunity to go and have a look with Ann, my M-i-L.
We were only in ten minutes when who should I see having their picture taken together but new bride Zoe and Karen! Sewing serendipity batman! Zoe had to dash off to her stall (yes Zoe was manning an area for Traid, giving advice on upcycling and refashioning old clothes, as she is a responsible and caring human… not browsing for bargains like the grasping selfish seamstress I am…) but I managed to grab Karen for a quick chat and pic before we toddled off to look around. 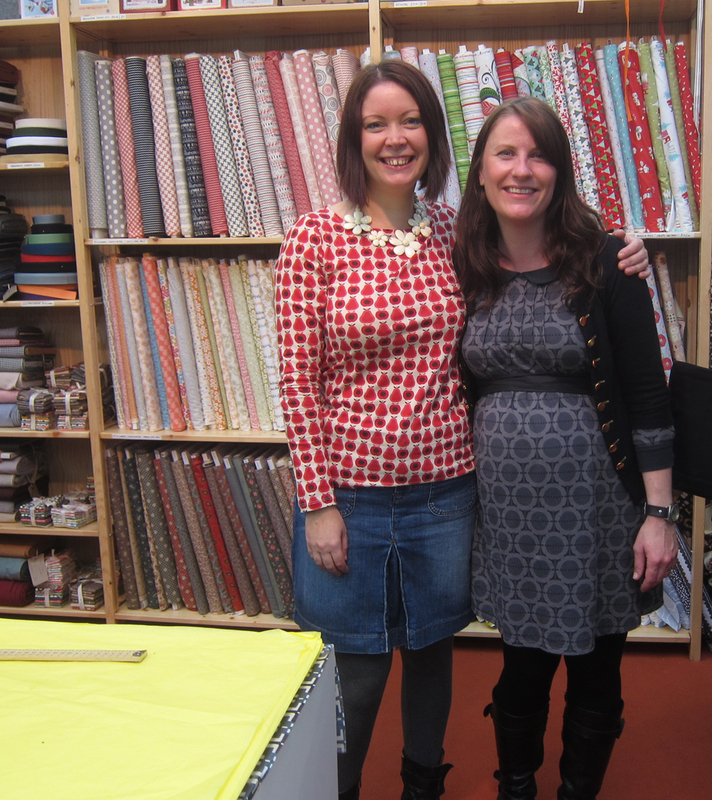 Here’s the lovely lady in question looking rather fabulous (are we both wearing Orla Kiely prints Karen?)! Here we have a metre of gorgeous helicopter fabric from Favourite Fabrics, first spotted on Jane’s tutorial for baby blankets. Hey – I’m a plagiarist an ideas magpie, what can I say? 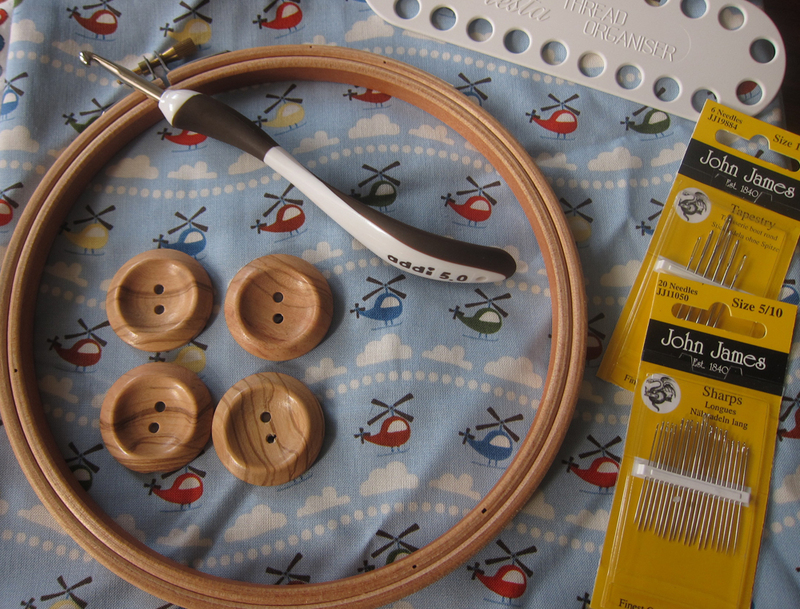 We also have four wooden buttons for the winter coat, an embroidery hoop, some assorted needles and a thread organiser to get me started on embroidery and a rather fabulous 5mm crochet hook. I’ve been frothing at the mouth with jealousy every time I see another swanky hook on the crochet vids I’ve been watching on Youtube so I’m delighted to finally get one of my own. Then it was over to Zoe for a quick chat (thanks for being so accommodating whilst trying to work at the same time Zoe!) – we’ve never met so it was just lovely to see her in person. Here she is hard at work, bless her. Finally, off to the Royal Oak in Muswell Hill for a cup of tea and a sit down. Phew. 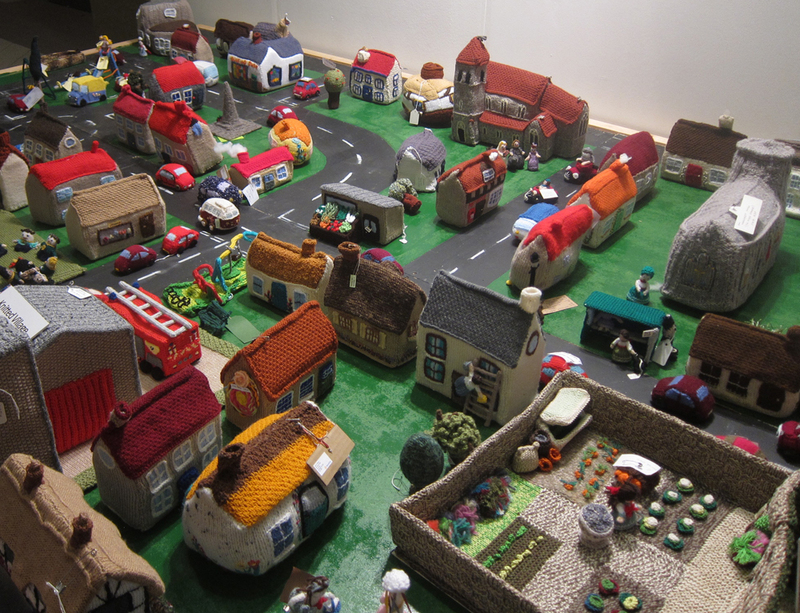 Oh and we spotted this delight on the way out – a knitted village! 1. Dedicate a structured day to it. There’s so much to see and do it’s easy to get overwhelmed. Try and get booked in for a couple of workshops (like Shivani did) or talks in the morning as these are easy to miss out on. Shivani made the excellent point (in comments on Karen’s blog) that the coaches start to leave from 3pm and it empties out quite a bit so it might be worth leaving the shopping bit til then. 2. Bring a packed lunch. Alexandra Palace is a delight to walk around and have a picnic (yes, even in October!). At the back of the Palace is an enclosed deer park and there are loads of parks and woodland to the fore. 3. Have a budget and stick to it. It would be so easy to get carried away, especially at the sewing gadget stores, and it’s difficult to tell in all the excitement whether you’re really getting a bargain. 4. 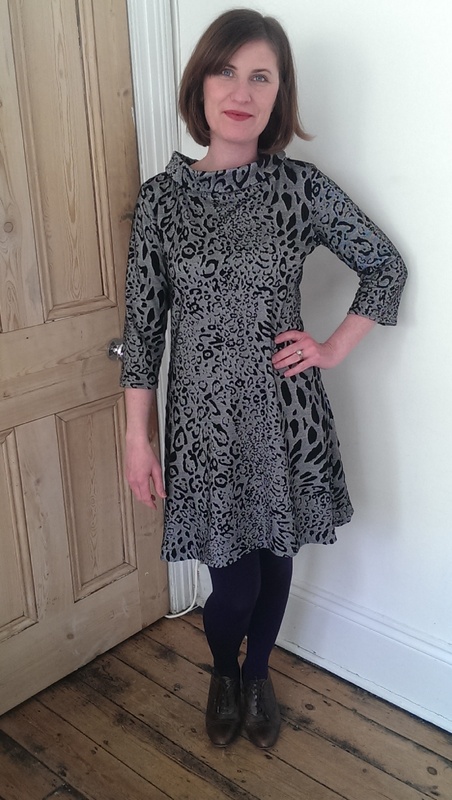 Don’t expect to get much in the way of dressmaking fabric. Most of the fabric available is quilting cotton. 5. Make the most of the expert advice on offer. I feel bad I can’t remember this particular stall’s name, but the lovely owner was invaluable and spent at least five or ten minutes in helping me find the right tools to get started with embroidery. 6. Which brings me neatly to my next point – bring a notepad and pen to take notes of shops and locations in the hall, otherwise you’ll lose track if you want to go back and visit them or buy from them again. And pick up as many leaflets/business cards as you can too. 7. Take the time to look at some of the exhibitions around the place. ‘Mining a Golden Seam’ was an embroidery exhibition from North East embroiderers. Inspired by coal mining, exhibitors were as young as 7 years old! Seeing something like this definitely makes you think about craft and communities, shared histories and narratives. Ooh it got me feeling all cultured like. Maybe next year I’ll see some more of you there!